Bispecific antibodies, as the name suggests, simultaneously target 2 or more tumor antigens on the same or separate cells to disrupt cancer development or progression. Others engage and tether cancer cells and immune cells together to increase cancer-cell destruction. No matter the strategy researchers take, however, interest in these bioengineered antibodies has been rekindled by the striking success seen in the treatment of some cancers with immunotherapy — notably, checkpoint inhibitors and chimeric antigen receptor T-cell (CAR-T) therapy — in the past few years. Still, the US Food and Drug Administration (FDA) has approved only 1 bispecific antibody with a cancer indication so far, underscoring the need for further research, before these targeted biologics can emerge as viable and less costly alternatives to other types of immunotherapy that are highly tailored to an individual’s cancer. In July 2017, the FDA approved Amgen’s bispecific antibody, blinatumomab (Blincyto) for acute lymphoblastic leukemia (ALL) in adults and children with advanced disease.2 Blinatumomab targets and binds 2 proteins, one, CD19, that is found on the surface of B-lineage cells and the other, CD3, that is found on T cells — essentially bringing the 2 in close enough proximity that T cells better recognize leukemic cells to kill them. Other investigators are using similar tacks in creating these dual-targeting agents. Researchers at The Ohio State University Comprehensive Cancer Center in Columbus, for example, used an approach comparable to blinatumomab in a humanized mouse model for multiple myeloma, according to Ilan Zipkin, PhD, a vice president at the Parker Institute for Cancer Immunotherapy in San Francisco, California. But the investigators extended the approved drug’s approach, he says, by tethering a common tumor antigen in this cancer, CS1, to a receptor, NKG2D, expressed on several types of immune system cells that kill. Nevertheless, for this and other bispecific antibodies to work best in patients, Dr Munshi said there is a prerequisite: a functional immune system must be present. CAR-T therapy has a clear advantage over bispecific antibodies right now, he explained, because “you can overcome some of the immune-suppressive environment” that occurs. Still, given the prohibitive costs of CAR-T’s customized approach, Dr Munshi and others believe bispecific antibodies could provide an economical alternative for patients in the future, broadening access to treatment. Michael Verneris, MD, director of bone marrow transplant and cellular therapy at Children’s Hospital in Denver, Colorado, also sees an evolving role for these next-generation designer antibodies. Although the need for intact immunity and a lack of persistent therapeutic effect pose barriers right now, he says, bispecific antibodies have considerable upside, as well. “These are modular, relatively small molecules that can be quick to produce,” he said. “If ‘A’ and ‘B’ don’t work, you can keep on mixing and matching until you can create whatever you want.” One obvious advantage to patients is that if complications arise, they can be addressed quickly, he said. “The great hope is that these will be in the deck of options for patients,” as an integral part of a multipronged strategy against cancer, Dr Verneris said. Although no bispecific monoclonal antibodies in the first-line setting exist yet, he is confident that clinical trials in patients with early-stage cancers eventually will take place, when chemotherapy damage to their immune systems is not so extensive. Krishnamurthy A, Jimeno A. Bispecific antibodies for cancer therapy: a review. Pharmacol Ther.2018;185:122-134. FDA grants regular approval to blinatumomab and expands indication to include Philadelphia chromosome positive B-cell. https://www.fda.gov/Drugs/InformationOnDrugs/ApprovedDrugs/ucm566708.html. Updated July 12, 2017. Accessed August 20, 2018. Chan, WK, Kang S, Youssef Y, et al. A CS1-NKG2D bispecific antibody collectively activates cytolytic immune cells against multiple myeloma. Cancer Immunol Res.2018;6(7):776-787. In a recent study, scientists found that breast cancer patients with decreased muscle mass may have a significantly higher risk of death compared to patients without it. This study, titled “Association of Muscle and Adiposity Measured by Computed Tomography with Survival in Patients With Nonmetastatic Breast Cancer” was published in JAMA Oncology on April 5, 2018*. They examined 3,241 women from Kaiser Permanente of Northern California and Dana Farber Cancer Institute of Harvard Medical School between January 2000 and December 2013. Very importantly, these patients did not have metastatic cancer but rather were diagnosed with stage II or stage III breast cancer that are potentially curable. 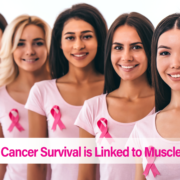 According to their results, muscle characteristics appear to be important predictors of survival for those who have breast cancer. Patients who had decreased muscle mass were 41 percent less likely to have survived than those who did not. Patients with the highest amount of body fat were also linked to an increased mortality risk. Patients who had both were 89 percent more likely to have died. 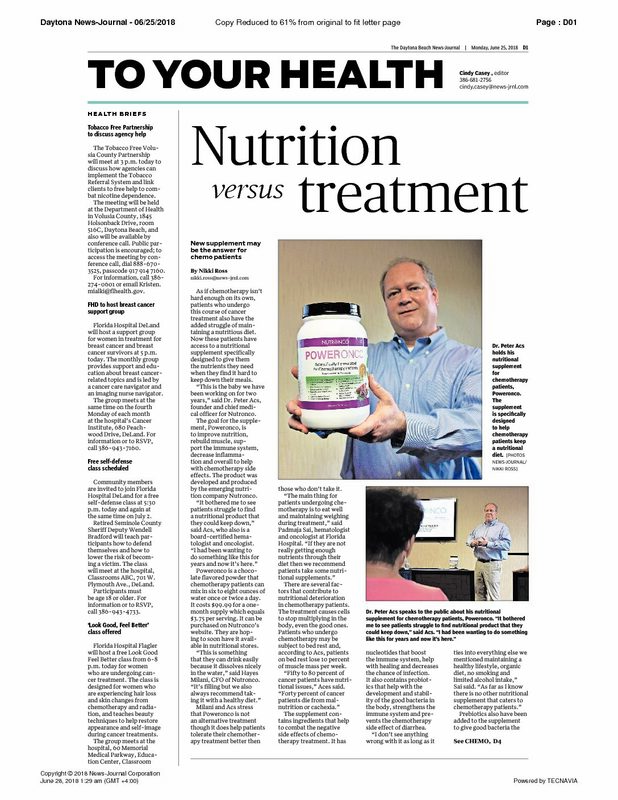 At Nutronco we have been emphasizing the utmost importance of nutrition and especially protein intake to help rebuild and maintain muscle mass in cancer patients. This is the largest study to date of patients with nonmetastatic breast cancer, and it demonstrated that decreased muscle mass (sarcopenia) is underrecognized, highly prevalent, and is associated with a significant increased risk of death. The authors of the study concluded that we should consider interventions to improve muscle mass such as protein supplementation. Our PowerOnco supplement provides high quality pure protein with high amount of branched chain amino acids, especially leucine, that has been shown to be the most powerful booster of muscle mass. *Caan BJ, Cespedes Feliciano EM, Prado CM et al. Association of Muscle and Adiposity Measured by Computed Tomography with Survival in Patients With Nonmetastatic Breast Cancer. JAMA Oncol 2018 Apr 5. 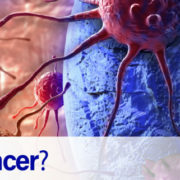 What Are the Differences Between Cancer Cells and Normal Cells? 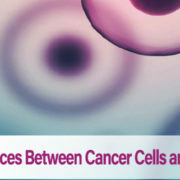 Cancer cells are very different from normal cells. These differences typically allow them to escape from under control and grow wildly. Not only do they grow uncontrollably, but they are aggressive and become invasive. Normal cells will mature into specialized cell types with specific functions, whereas cancer cells do the opposite: they become less and less specialized as they lose control and become more aggressive. The way we describe how much they differ from normal cells is called: grade. 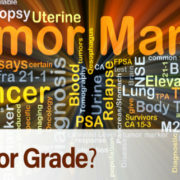 A cancer that is low grade resembles more to its normal counterpart than a high grade disease (for more information see blog: What is Tumor Grade?). In addition to cancer cells’ ability to multiply without control, they are also able to ignore signals that normally tell cells to stop dividing or to die. Cancer cells may produce and secrete growth factors and other hormones that will stimulate normal cells to act in favor of the cancer, like forming blood vessels. Another important feature of cancer cells is that they may change in ways that help them evade the immune system and become “invisible” to the body’s natural ability to remove abnormal cells. Luckily, some of these features we can use in the fight against cancer. The rapid growth of cancer cells is the reason why we can use chemotherapy that typically targets dividing cells and due to the hormone dependence of some cancers, we can use hormonal manipulation. https://www.nutronco.com/wp-content/uploads/2018/05/blog1.jpg 321 845 nutronco https://www.nutronco.com/wp-content/uploads/2018/05/Nutronco-Logo-300x63.png nutronco2018-05-28 15:18:322018-05-29 05:51:07What Are the Differences Between Cancer Cells and Normal Cells? https://www.nutronco.com/wp-content/uploads/2018/04/blog2.jpg 321 845 nutronco https://www.nutronco.com/wp-content/uploads/2018/05/Nutronco-Logo-300x63.png nutronco2018-04-29 12:10:242018-05-29 05:31:23What Is Tumor Grade? Cancer develops when cells start growing without control and spread into surrounding tissues. This can happen in any type of cell in any organ. Cells normally grow and divide to form new cells as the body needs them, and when cells become old or damaged they die. In cancer cells this mechanism gets impaired and cells continue to grow even when they should die or when they are damaged. The resultant tumor becomes malignant, and called cancer, when these abnormal cells start to grow into surrounding tissue. Eventually, some cells will acquire the ability to travel to distant places in the body and form new tumors at these locations. Once a cancer diagnosis is made the extent of the disease must be assessed. This is called staging. Typically stage I cancers are small and localized, stage II ones are larger but still localized. Stage III cancer has moved to lymph nodes, whereas stage IV disease means disease in distant organs. This is called metastatic cancer. Staging determines treatment options. Stage I cancer is usually curable with surgery, while the treatment of choice for stage IV cancer is systemic chemotherapy. https://www.nutronco.com/wp-content/uploads/2018/04/blog3.jpg 321 845 nutronco https://www.nutronco.com/wp-content/uploads/2018/05/Nutronco-Logo-300x63.png nutronco2018-04-23 16:33:512018-05-29 05:32:16What Is Cancer? 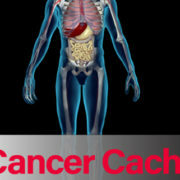 Cancer cachexia is a multifactorial condition characterized by systemic inflammation and severe wasting of skeletal muscle, with or without wasting of adipose tissue (fat). It causes considerable morbidity and mortality in these patients. Cachexia occurs in 50–80% of cancer patients and it has been identified as an independent predictor of treatment failure and decreased survival. There are several factors that contribute to nutritional deterioration, muscle wasting and worsening weight loss in cancer patients. The process is a vicious cycle caused by weakening of the immune system, further inflammation, infection, worsening weakness, widespread metabolic changes, debilitation which collectively contribute to an increase in fatigue, poor physical function, diminished quality of life and ultimately death. Improving nutrition, rebuilding muscle mass and strength, supporting the immune system, decreasing inflammation help prevent this from happening and enables us to treat the underlying malignancy more effectively. https://www.nutronco.com/wp-content/uploads/2018/04/blog4.jpg 321 845 nutronco https://www.nutronco.com/wp-content/uploads/2018/05/Nutronco-Logo-300x63.png nutronco2018-04-17 11:17:242018-05-29 05:33:00What Is Cancer Cachexia? 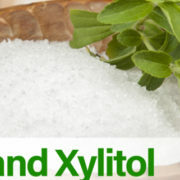 Xylitol is a natural sugar alcohol that can be used as a food sweetener. It is permissible for cancer patients since it is not fermented by cancer like glucose, and a significantly smaller percentage is absorbed in the GI tract. Xylitol even reduces intestinal glucose absorption. Furthermore, xylitol can alleviate treatment side effects like dry mouth and mucositis. It also has antimicrobial properties especially against encapsulated organisms like Pneumococcus, and was shown to have anticancer effects in lung cancer cells. A study of lung cancer cell lines demonstrated that xylitol has a dose-dependent inhibitory effect on cell proliferation. A different study also demonstrated that xylitol has an antiproliferative effect in vitro. In this study, normal cells and oral squamous cell cancer cell lines were treated with glucose or partial substitution of glucose with xylitol. Partial substitution of glucose with xylitol resulted in decreased cell proliferation. A metabolite of xylitol, D-xylulose, further enhanced the antiproliferative activity of xylitol. In addition, there are no data to suggest that xylitol is carcinogenic or is associated with an increased risk of cancer. According to several research studies cancer cells are metabolically different from normal cells. It was initially suggested over 60 years ago, by Noble laureate Otto Warburg, that the most prominent feature of tumor cell metabolism (the so-called Warburg effect) is the cancer cells’ strong dependence on sugar. Warburg proposed that cellular respiration must be irreversibly injured in cancer cells. Although the concept has been refined, aerobic glycolysis (use of sugar for energy) is still considered to be a hallmark of cancer. This opens up novel therapeutic strategies exploiting this potential Achilles heel of cancer. This so-called “ketogenic diet”, that is high in fat and low in carbohydrates, is considered to have beneficial effects by forcing cells to utilize fatty acids as their primary energy source. There is increasing amount of evidence implying that the ketogenic diet is an effective adjuvant cancer therapy. Most cancer cells lack the enzymes necessary to metabolize fat or protein and they depend on sugar. Sugar does not cause cancer, but if we restrict carbohydrates, the main source of glucose, we make it difficult for cancer cells to divide and they may starve to death. 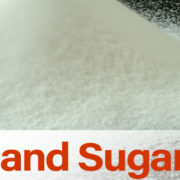 Recently, a group of scientists in Belgium found a direct link between sugar intake and cancer. Besides providing a clear warning to cancer patients to reduce sugar consumption, they identified a mechanism by which high sugar activates the aggressiveness of cancer. According to the lead author, there are some recent clinical trials which indicate that low sugar diet is beneficial for recovery of patients with cancer especially for those that undergo chemotherapy.